Note: The following information is as claimed by the entrant. EWTA and APA make no claims as to the veracity of the information nor endorse any particular entry. Arclin's Enhanced Bond Technology significantly improves adhesive bond quality in areas that are notoriously difficult. Higher and more consistent wood failure is realized when gluing significantly overdried, case hardened softwood veneers, on and around knots and on and around hardwood burls. 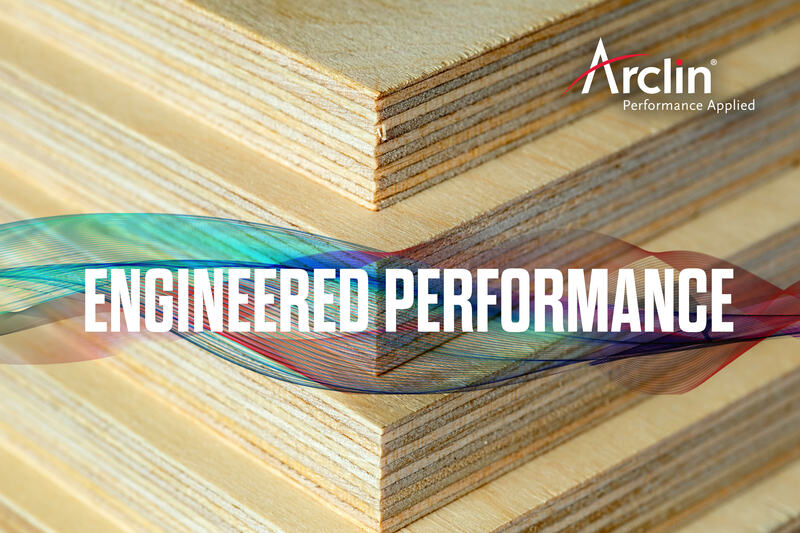 Arclin's Enhanced Bond Technology is specifically designed to improve adhesive flow, penetration, and ultimately the bond quality on wood surfaces that are notoriously difficult to bond. One example is overdried, or case hardened, veneer. When veneer is dried too fast at too high temperature, the chemistry of the wood surface is modified, which in turn restricts the ability of water - and the PF adhesives common to plywood manufacture - to adequately absorb and penetrate beyond the veneer surface. The end result is frequently observed as shallow and spotty wood failure, reduced strength, and increased panel downfall due to delaminations. Resins incorporating Enhanced Bond Technology better cut through the chemically modified veneer surface to improve adhesive flow and penetration and to increase the depth and consistency of wood failure when gluing overdried veneer. A second benefit observed with Enhanced Bond Technology when gluing softwood veneers in general is improved wood failure on knots and the associated cross grain that often surrounds them. Enhanced Bond Technology also produces superior results when hardwood species are incorporated into a panel, for example in certain overlaid plywood constructions. Areas of hardwood veneers that were peeled near a burl are notoriously difficult to bond due to the high density and wild grain patterns. Extensive lab evaluations and commercial results demonstrate that Enhanced Bond Technology increases the adhesive penetration depth in these areas, resulting in higher and more uniform wood failure patterns. The transition to an Enhanced Bond Technology resin is seamless for the user. There are no additional raw materials to purchase and handle, the SDS is consistent with a typical PF resin, and it requires no changes to storage, mixing, or panel layup process. Benefit #1: Significantly improves adhesive bond quality on overdried, case hardened softwood veneers. Benefit #2: Significantly improves adhesive bond quality on and around knots and hardwood burls. Results: Higher, more consistent wood failure averages and reduced panel downfall. OSB release agent that delivers a very light/blond colored board when compared to traditional release agents. Used on both continuous and daylight presses. Will provide "memory" - still offers release if not applied for a given amount of time. No interference with post-process adhesion. When using a resin such as pMDI that requires a release agent, traditional release agents darken the OSB panels to varying degrees. Certain markets demand a light colored board and more end users prefer it when they see it. This product enables this to happen while maintaining other key performance attributes such as memory and lack of interference with post process adhesion. Benefit #1: Very Light (blond) colored panels. Benefit #2: Provides "memory" and no interference with post-process adhesion. Results: Drastic color difference when compared to traditional release agents in field use. Submitted By: Idemitsu Lubricants America Corp.
Idemitsu has taken an innovative approach to develop new grease technology to help address bearing failures in Continuous Pressing Machines. Bearings in high load or high temperature equipment require superior resistance to degradation by heat, pressure or contaminants. Benefit #1: Eliminated unscheduled downtime due to bearing failures in Continuous Pressing Machines. Benefit #2: Reduced grease consumption from 100kg/year to 10kg/year for high temperature bearings. Results: Cost savings of over $500K due to reduced labor cost, bearing replacement and unscheduled downtime. 1) Recipe-driven automatic sander set-up (in seconds) for precise & repeatable surface quality. 2) Motorized machine adjustments eliminate operator variability. 3) Closed-loop thickness control now possible with downstream thickness gauge. Benefit #1: Increased throughput from reduced sander idle time. 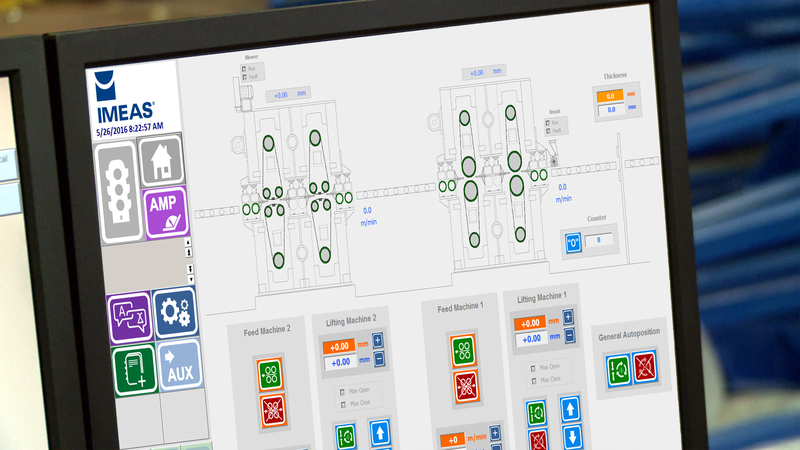 Benefit #2: Quality variability due to operator input is eliminated. Results: Approx. 20% increased throughput.